In theater, the show must go on — even if a character is murdered. 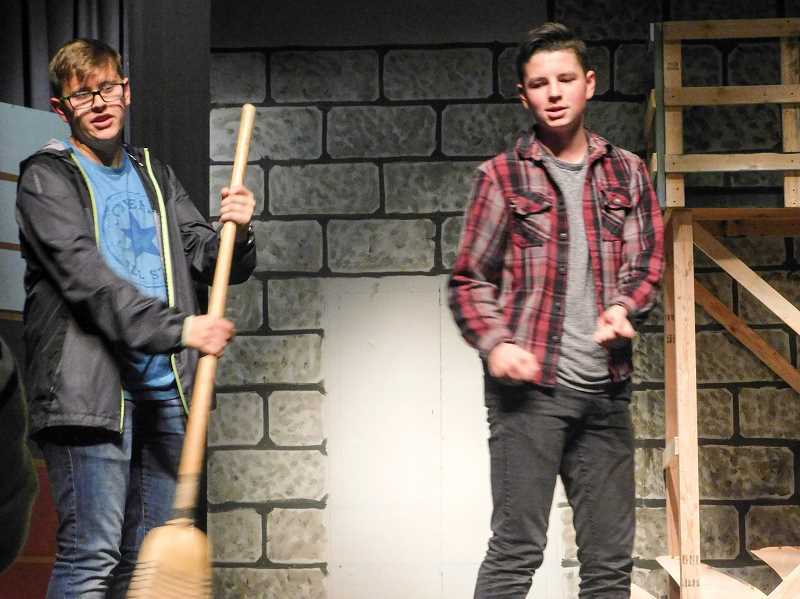 That's the attitude that the Estacada High School drama department has taken with "Curtains," a musical comedy and murder mystery that sees untimely death of the lead actress in the show's struggling play within a play. Because of this, Lt. Frank Cioffi of the Boston Police Department is called in to solve the crime. Thinking that the murderer is still in the theater building. The cast and crew use this time to improve their show, "Robbin' Hood of the Old West," which has received many negative newspaper reviews. As the show goes on, scenes from "Robbin' Hood" are rewritten and rehearsed, and the body count increases. Students are eager to present the play, which opens next week. "We've never done anything like this before," cast member Sarah Irelan said, describing the show as dynamic. "It's not (a show) many people know. It's our senior year, and it's fun doing something super different that no one else can say they did." 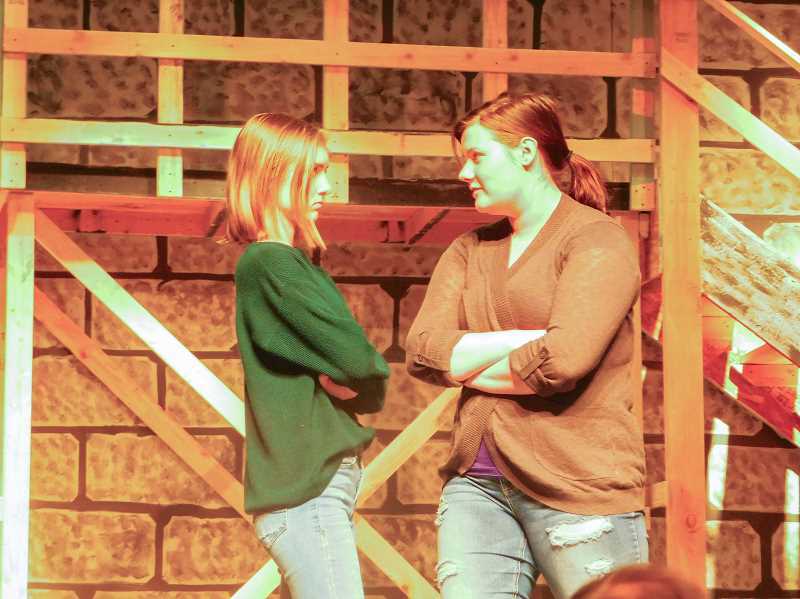 Fellow cast member Ciara Schwimmer appreciates that the play has not been done in Estacada before. "We can really define the roles for ourselves," she said. Rendell Frunk, the show's musical director, said that "Curtains" was selected because of its large cast size, among other reasons. "We have a lot of seniors, and the show has a lot of parts," he said. "There are a lot more than the standard two leads. We were looking for something that hadn't been done in the area." "Our senior group is so exemplary, and we wanted them to be able to put their stamp on it," she said. "(Since this is the first time we've produced the show,) there's no comparison to previous casts." Frunk encourages anyone interested to attend the show — perhaps more than once. "You could come a few times and get something different out of it, he said. "There are a lot of parts to it. Get ready for a wild ride, and put your thinking cap on." "Curtains" runs from Nov.16-18. Performances are at 7 p.m. every night in the Estacada Auditorium, 500 N.E. Main St. Tickets are $6 for adults, $4 for students and seniors and $2 for children younger than 12.